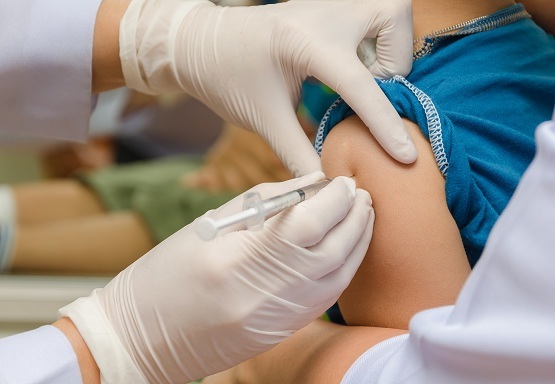 Immunisation is one of the most important and beneficial advances made by medical science during the 20th century, especially in the field of paediatrics, and is responsible for saving thousands of children from death due to diseases like polio, measles and diphtheria. The ultimate aim of immunising your child is not just to protect your baby but help in the eradication of diseases. Although, the only disease that has been successfully eradicated till date is smallpox, the disease that is being targeted currently is polio. Efforts are also being made to eliminate diseases locally. For instance, measles has been eliminated in many areas of the world. Protecting your newborn baby from these often fatal diseases is the primary aim of immunisation. The vaccines created for your just born baby has been thoroughly researched and reviewed by scientists. Thus, they are perfectly safe. When vaccines are administered to your baby, they lead to some pain and discomfort and on occasions may even result in slight fever. But, this temporary discomfort is nothing in comparison to the protection that vaccines offer to your newborn baby against other deadly diseases. Serious side effects of vaccines administration are quite rare. If you ensure that your child is properly immunised, you do not only ensure the safety of your child and family but also prevent the further spread of the diseases to infants that are too young to receive immunisation or children who are allergic to the vaccine. You also prevent the spread of infections to children whose immune systems are too weak to receive any vaccination. Many paediatric doctors and researchers are of the opinion that immunisation does not only protect the present generation but also saves the future generation from such diseases. Immunisation against German measles effectively prevents the transmission of the related virus from you, the mother, to your foetus during pregnancy. Small Pox today has been effectively eradicated, saving generations today and those to come from the terrible disease. Certain infections like Chronic Hepatitis B can increase your baby’s susceptibility to developing liver cancer. Vaccination against such infections can aid in preventing related cancers in your baby later on in his life. For instance, the use of HPV vaccines has considerably reduced the development of cervical cancer. As you can see, the benefits of immunising your child are great. Vaccines are highly cost effective and have successfully reduced child mortality rate worldwide. It is essential that you should ensure your child gets his dose of vaccines at the right age and the right time, and you can do this by consulting your doctor.